**UPDATE 6** IOS11.2.6 was released with a specific fix for the Telugu character bug. **UPDATE 5** IOS 11.2, 11.2.1, 11.2.2 and 11.2.5 were released between Dec 2, 2017 and Jan 23, 2018. These serviced minor bugs but also addressed the Spectre security flaw, and added support for HomePod. However, 11.2.X is known to have a messaging flaw that reacts to a certain Indian language character causing iMessage and other third-party messaging apps to crash. **UPDATE 3** IOS 11.0.3 patch has now been released, fixing battery, sound and haptic feedback issues. Early reports are saying it's still problematic. **UPDATE 2** IOS 11.0.2 patch has also been released, fixing even more performance issues. **UPDATE** IOS 11.0.1 patch has been released fixing a few of the performance and teething issues. Time will tell whether there is a fundamental improvement. 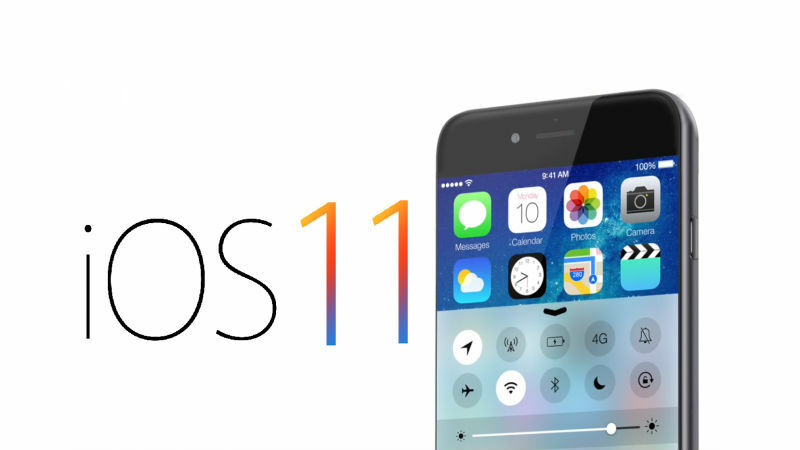 IOS11 is here, and many people have upgraded to get the latest features for their phones and tablets. However, on many of the last-generation devices, there is a noticeable performance hit, and a significant increased battery drain. This guide shows a few techniques that will help with people that are suffering with the price of progress. With the launch of the new Operating System, the phone will start to reindex messages, searches, cleans up the install files and other operations. This takes a couple of days. There are also many applications that have been updated. If you phone is set to automatically update your applications, then as soon as IOS was updated, so the background refresh of your apps also started. This will result in increased battery usage, but also makes your processor work hard, resulting in a performance hit. Wait for the updates to finish, and the device will be free to breathe again. Some of the new animations and special effects look nice, but are unnecessary for operation and result in a slower performance. Navigate to Settings > General > Accessibility > Reduce Motion and switch it on. Then jump back to the Accessibility menu and choose Increase Contrast and tap Reduce Transparency. Changing those settings will speed up performance. IOS devices nearing the limits of their storage tend to slow down. Free up some space of old photos, videos or apps that you no longer need (or offload them to the iCloud). Go across to Settings > General > iPhone Storage and you will see a whole myriad of options to help manage your storage. You can choose to move your photo library to the cloud, or automatically delete old unused applications. Finally, you can choose individual apps and delete them. In extreme cases, you may wish to explore the Low Power Mode option held under Settings > Battery. This will switch off a number of features such as mail fetch, Siri, application updates, automatic downloads and some of the visual effects. It's usually used for when your battery is on it's last legs, but can help for performance and general battery life. Sometimes there are some problematic settings, or residual settings that need clearing. You can do a non-destructive reset of some of the basic settings by going to Settings > General > Reset and choose Reset All Settings. Please note: Do not choose Erase All Content and Settings as this will reset your device to a factory blank canvas ! Quite often all that is needed is a reboot. This will kill errant processes and locked apps, clear your memory down and stop any chaos that the Operating System might be creating. This one is simple, power off your device either by pressing and holding your Sleep/Wake button and sliding the power off slider, or go to Settings > General > Shut Down. Switch back on and hopefully things will be smoother for you. In December 2017, there were reports that Apple was deliberately throttling back performance on some iPhones. In general, the reporting was pretty damning, calling out Apple for this "problem". 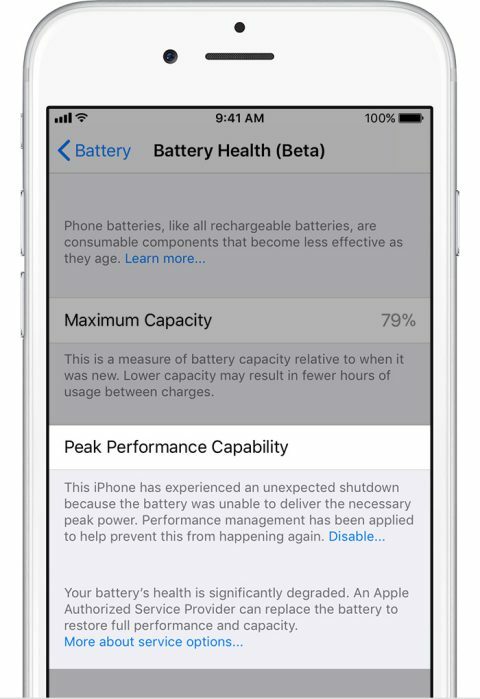 Apple introduced this performance throttling in IOS 10.2.1, citing it as a feature to prevent unexpected shutdowns on devices where the battery was below peak condition. After much press and public outcry, Apple responded with the offer of a reduced battery replacement service in Apple stores (from £79 to £25) for the remainder of 2018. In addition, the forthcoming IOS 11.3 will include a feature to report on your battery health and disable throttling if the user desires.